Sounds right to me as far as I remember. This would be best I think. I never got to run it so am happy to do it. I could keep all points as they are but still have a rerun after the last race on the calender. Not sure why there should be a call for a re-race? Any particular reasons out of the norm for GPB? If there are good reasons for a re-race then I'm okay with that, but if it's just because a few got core.exe's then, NO, I wouldn't agree with a re-race because we all know that happens before entering GPB events and it's just tuff luck if it happens to me or anyone else no matter were you were placed in the race at the time. Just consider a core.exe as your bike giving up the ghost - bad luck but it does happen. It is not so much a rerun but a chance to do the race without the technical problems from my end. It is because the results did not get saved and quite a few could not make it. It will not change the standings as I am going to keep the results that seem to be correct. It is also after the last race on the calender so all stays as is. I don't agree with the premise of re-running a race because some riders couldn't make time to attend, that's their choice and tuff luck as far as I'm concerned. 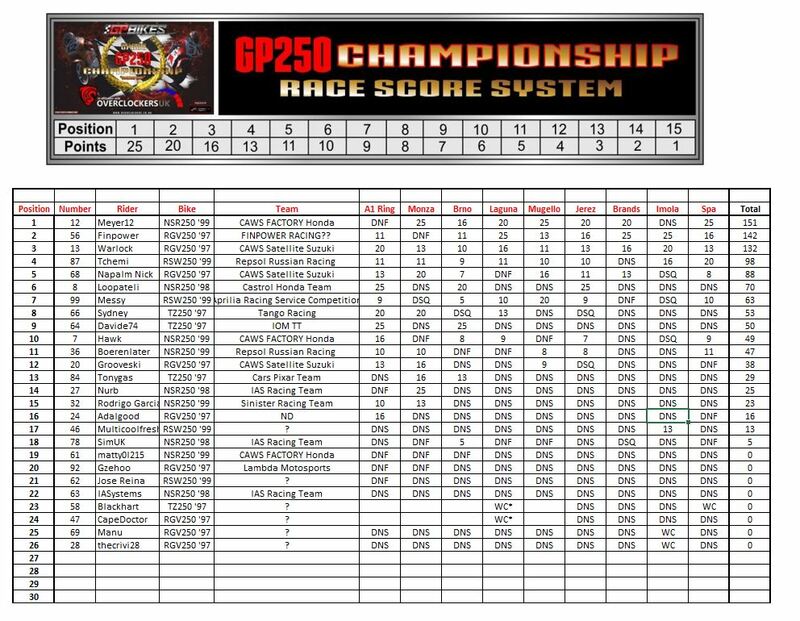 As far as technical difficulties: like missing lap info and times as well as core.exe's; it maybe a good idea to keep note of what tracks do give problems during race events and also a list of those tracks on race dates that don't have any issues during events. Would be good for event organisers to have a list of trouble free tracks to use to help keep things running smoothly in the future(that's besides the issues you may have with GPB itself being unstable of course). It's just a thought. How are you going to a amalgamate the results across the servers? Will the server list change as the races go on to put similarly skilled riders together? Will I get a prize? Don't forget if u want a hand with anything just shout! It is this beta that is the problem. 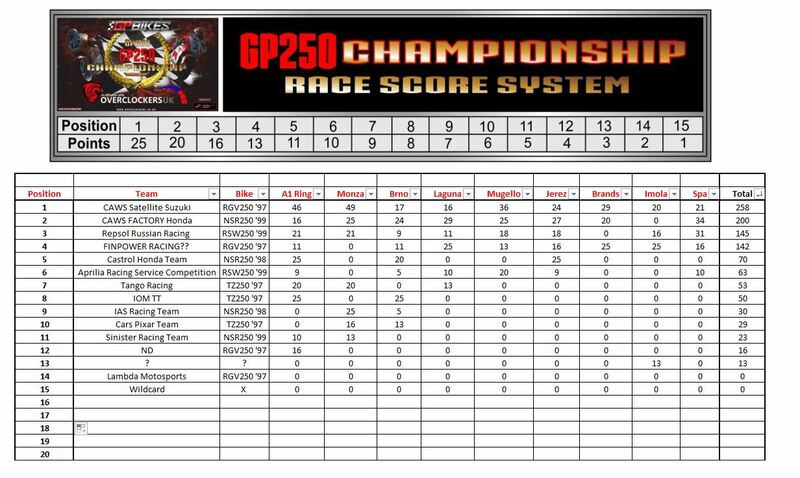 I have decided the First race result will be kept for fairness to podium holders and all who finished AND to hold the race again after the last race on the calender to give us ALL a chance to race on this great track with less technical issues and poor organization from myself. Normally I would say shoot me but if you do then find someone to run the championship first lol. Oh as for changes I need to think on it a bit but I think I will figure something good for you all out that keeps it fair.